Martyn Hilbert's Railway Photography - BR Blues - Class 08 Snowplough conversion at Wath. Class 08 Snowplough conversion at Wath. 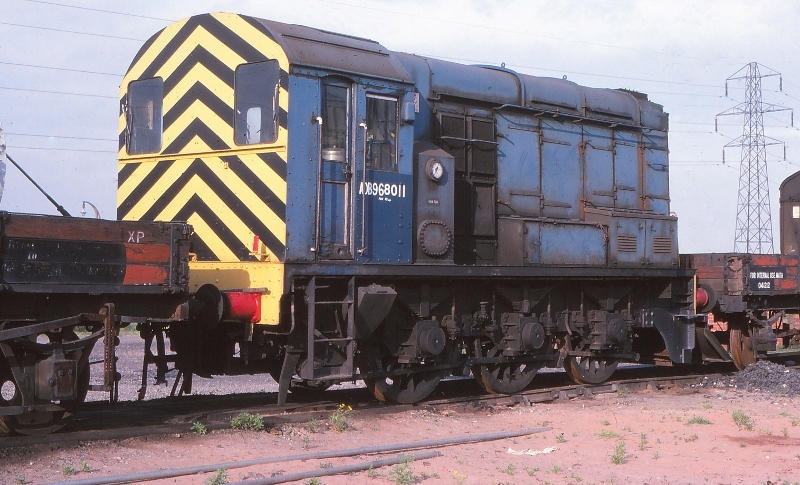 Formerly Class 08, 08119, this locomotive was withdrawn from service in February 1977 and converted into a non-powered Snowplough, renumbered ADB968011 and seen stabled at Wath Depot in September 1978. Several Class 08s were similarly converted, they were not a success, and all were withdrawn in 1979. ADB968011 was scrapped in 1980.